It’s only natural to crave an “it” statement piece each new season. 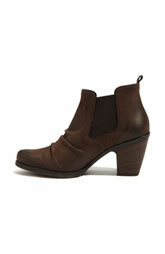 This adorable and comforatable Jano leather bootie by Paul Green is mine. I opted for black. The hazelnut-hue stacked heel is just the right amount of daytime in this all hours shoe. I love a higher heel, but let’s be real, I can actually wear these all 12 hours I need to. Won’t you give them a try?